Government forces killed 1519 civilians including 269 children (9 children killed each day), and 192 women, also no less than 104 victims of death under torture (4 victims died under torture each day). The children and women victims 31% of the total civilian victims’ toll which is a clear indication of the deliberate targeting of civilians by the government forces. 1. Civilians: 68 victims including 2 children and 2 women and one victim of death under torture. 2. Armed individuals: 142 gunmen killed in conflicts with armed opposition factions or field execution of captives. 1. Civilians: 10 victims including 2 children and a woman and 3 victims of death under torture. 1. 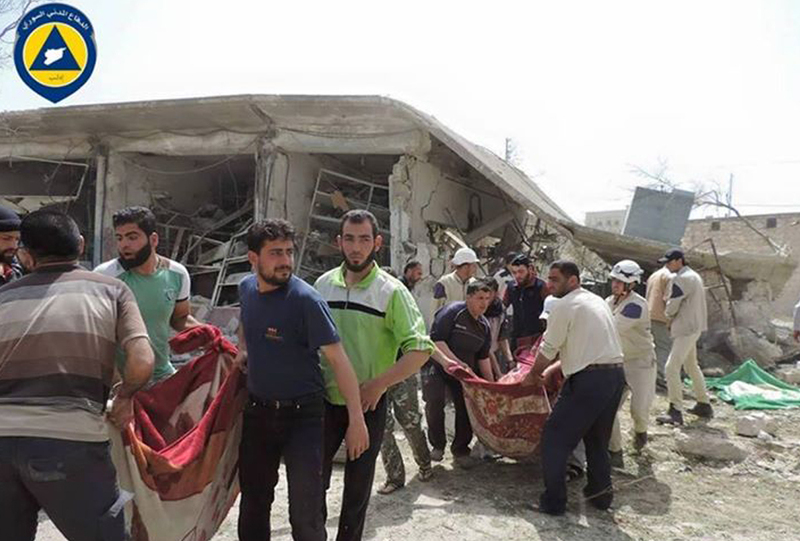 Civilians: 82 victims including 21 children and 14 women. SNHR recorded 42 murders including 10 children and 6 women by groups unidentified up till the moment of preparing this report. We would like to indicate that this is what we were able to document and verify by full name, time, and place, in all the Syrian provinces, we also like to indicate that there are many cases that we couldn’t document, especially in the massacres incidents and sieges on towns and villages, and cutting off communication by the government forces repeatedly in every time, which promote a rise in the actual number of victims, and it’s all due to the Syrian government banning any human rights organization to work on its lands.